Alerta Emerald Air Mattress – an overlay alternating pressure relieving mattress system with 5″ Air Cells for effective prevention and treatment of patients at medium to high risk of developing a pressure ulcer in hospital, nursing and care home environments. Length : 200 cm(6ft.7 inches) x Width :90 cm(8.26 inches) x Thickness :12cm (5inches). 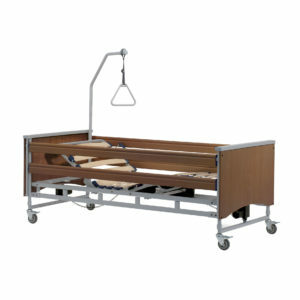 Price €845.00 plus VAT @23%. Pump Dimensions : 34cm(13.38 inches) x 21cm(5.12 inches) x 12cm(4.72 inches). Pump Cycle Time : 6,9,12, 25 minutes. Nylon TPU coated cells, Independently removable cells, CPR release,Anchoring straps,Zipped storage bag,Multi-stretch, waterproof & vapour permeable PU cover,Micro-perforated cells,Antimicrobial machine washable, Robust pump connection.